Sometimes when I ride out to one of our local gathering places, my bike looks like a pretty good example. The swirls and scratches are less noticeable when they are parked beside machines who have lived much harder life. Then, when parked at a local or regional Concours event you can run into strong competition that puts your machine in perspective. I am usually okay with this as I rationalize that those much nicer vehicles are not really ridden to and from the event, much less many routine miles, like mine. There may even be machines there that can compete on a national level. Then there are sometimes race bikes with provenance restored to "as they ran" condition. 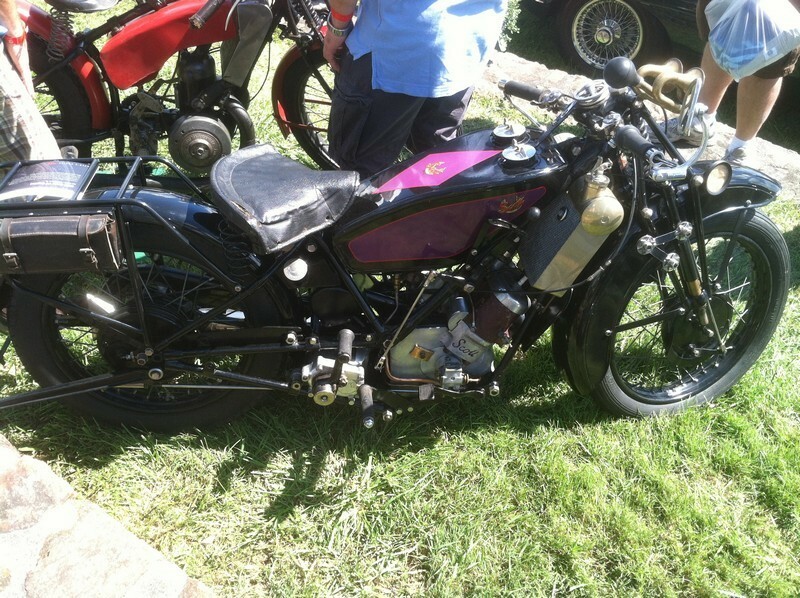 Such was the case at The Radnor Hunt Concours in the motorcycle section. At a national event the whole scenario changes. All of a sudden, you are at the All-Star game. The level of competition here is fierce, and the level of knowledge is amazing both for its depth and it's quantity. I had no idea that there was such variation in nickel plating ! Or that there was a correct number of windings for the coil that year ! This is the kind of light banter that you could overhear at the Vintage display at the national BMW rally. I watched and listened to Craig Vechorik (a reknown authority on vintage BMWs) show a guy with a pristine R69S six or seven places where he had the wrong nuts or the wrong washer, or the wrong finish on a part. I was glad I didn't have my/2 there. It could have served for a two-week long seminar. Another heated conversation was taking place between one of the owners of the bike on display, and a know-it-all visitor. 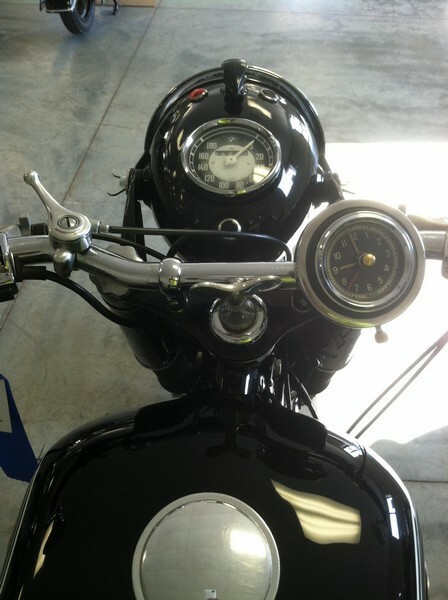 The owner was arguing that he had factory correct finishes and levels of quality on the entire motorcycle. The visitor claims to have made many trips to Germany, where he met with retired workers from the factory and had it on first hand authority, that they were nowhere near as precise or as good as this quality on display would represent. Both seemed to know their stuff, and I got to witness a sort of passionate scholarly research debate. Then there was the owner who related the story of almost getting arrested because the 60-year-old machine gun with no ammo attached to his wartime BMW sidecar was "not disabled enough". You almost forgot that on display were some of the best preserved and restored examples of models from the earliest days of BMW to the 1980s. "Museum quality" is the phrase given to restorations that are so good, they serve as a reference, and are perfect in every detail. 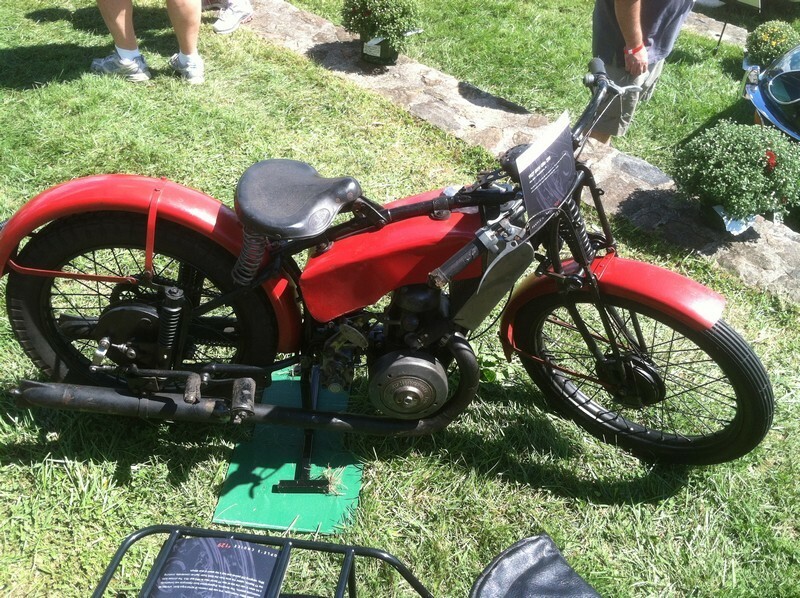 There were several such motorcycles on display at the MOA event. 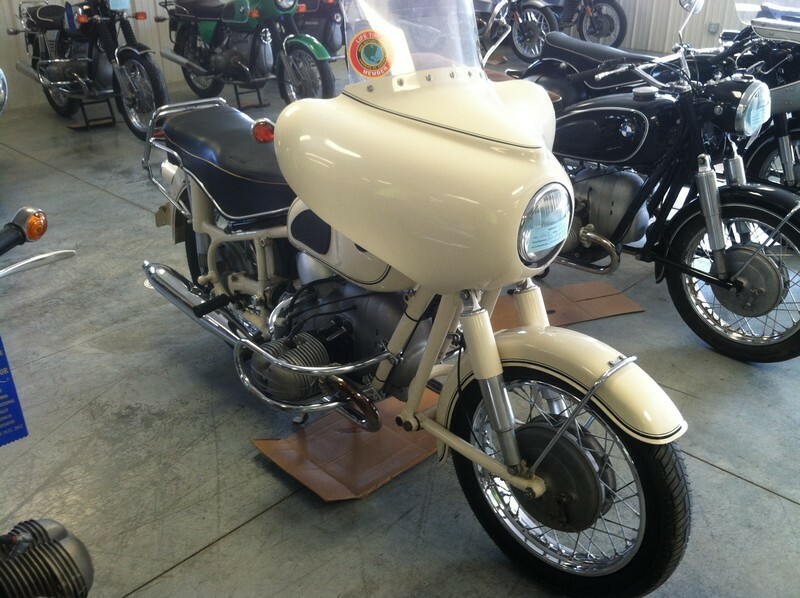 At the Simeone museum exhibit this year, one of the Ducati race bikes was restored almost entirely from photographs, a few hand notes from engineers, and a lot of verbal research. This adds a degree of difficulty to getting it right, as every race bike is essentially a one-off item. Regardless, the historian/sleuth/researcher is relentless in his pursuit of the truth about a machine. The fact that they then share these machines with the rest of us, means that we can know the truth as well. Thanks.